Although cancer affects all populations in the United States, certain ethnic populations bear a disproportionate burden of cancer compared with other groups, according to the National Cancer Institute. The federal agency has backed up its statistics with a $2.17 million grant to develop a joint cancer drug discovery/development and research education program to focus on cancers that have increased risk of incidence and/or mortality among underserved communities, namely African-Americans, Hispanics and Native Americans. The program is a partnership between University of Houston College of Pharmacy and the Dan L. Duncan Comprehensive Cancer Center (DLDCCC) at Baylor College of Medicine. Diana Chow, UH College of Pharmacy Pharmaceutics professor and director of its Institute for Drug Education and Research, will lead the effort at UH. Martin M. Matzuk, Baylor College of Medicine pathology professor and director of the DLDCCC, will head the alliance there. "Liver cancer has a higher incidence rate among African Americans and Hispanics than among Caucasians. Certain types of breast and prostate cancers have higher incidence and mortality in the African-American population," said Chow. The research will seek to find new drugs to treat these cancers using preclinical models derived from these patients. 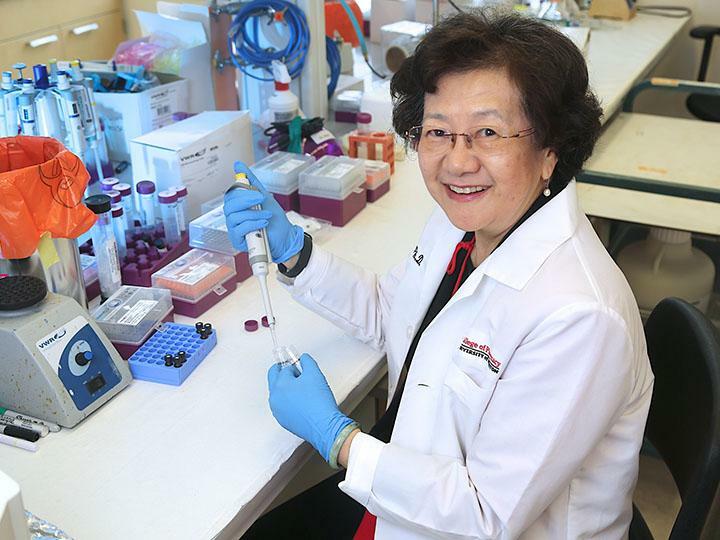 "We will use expertise in cancer drug discovery platforms at DLDCCC, and the experience and track record in cancer drug development at UH College of Pharmacy to improve outcomes in underserved communities across the nation, said Chow. Not only do disparities exist in cancer outcomes, there is also lack of diversity in the cancer research workforce. Changing that will increase society's understanding of the causes and risk factors for cancer in different populations, work that could eventually be tested in clinical trials, said associate professor of Pharmacology and Clinical Pharmacy Meghana V. Trivedi, who is spearheading the cancer research education component of the program and will also participate in a pilot project for cancer drug discovery/development research. "Much of the basic science and clinical trials data are available from primarily Caucasian populations, and so we understand less about cancers in minority populations," Trivedi said. The project could lead to a more representative generation of cancer researchers, bringing fresh insights and encouraging greater involvement of underserved communities. Besides recruiting next-generation cancer researchers, the education program will also enhance current researchers' awareness and knowledge of cancer health disparities. The University of Houston, a Hispanic and Asian – serving institution, is a perfect place to start. "One of our objectives is to educate students about different modalities of cancer research; you don't have to be a biology major to be a cancer researcher," said Trivedi. "We'll be reaching out to students with different majors, encouraging them to explore careers in cancer research and join the effort to find a cure for cancer in underserved ethnic groups."